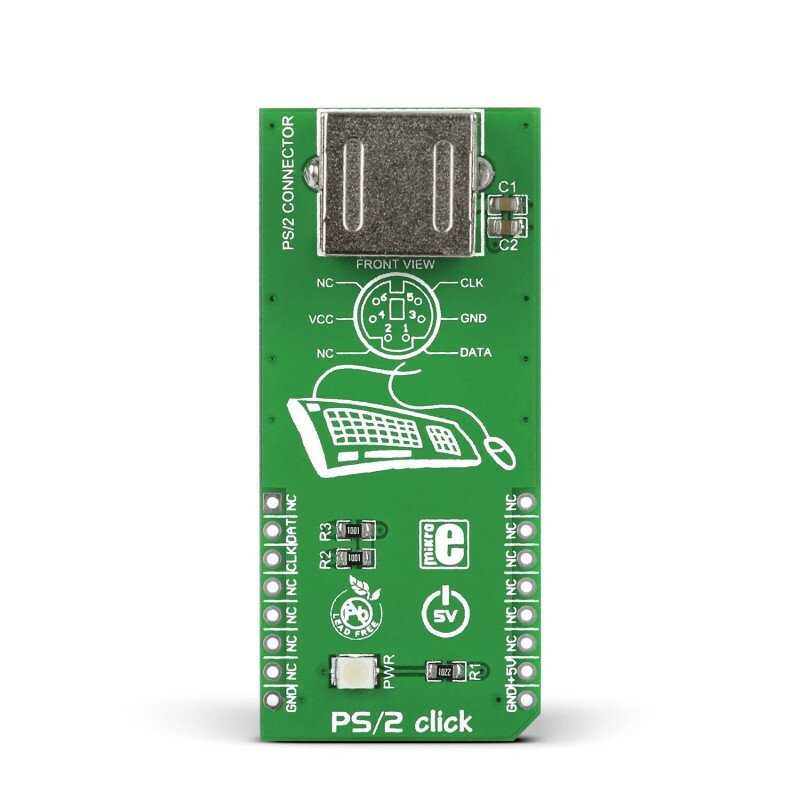 PS/2 click is a cost-effective solution for adding keyboard and mouse connectivity to your design. It features a standard 6-pin Mini-DIN PS/2 connector, a mikroBUS host socket, and a power indicator LED. 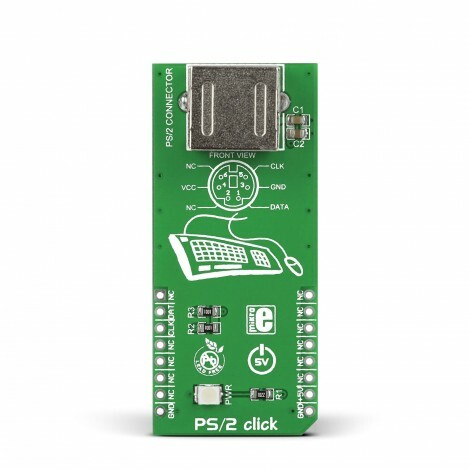 PS/2 click is a cost-effective solution for adding keyboard and mouse connectivity to your design. 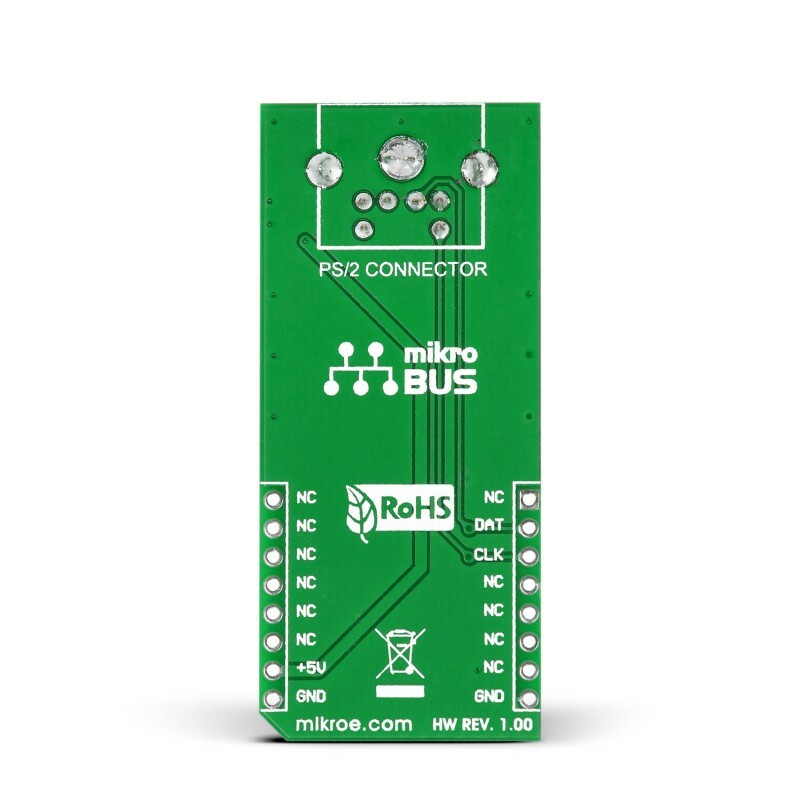 It features a standard 6-pin Mini-DIN PS/2 connector, a mikroBUS™ host socket, and a power indicator LED. 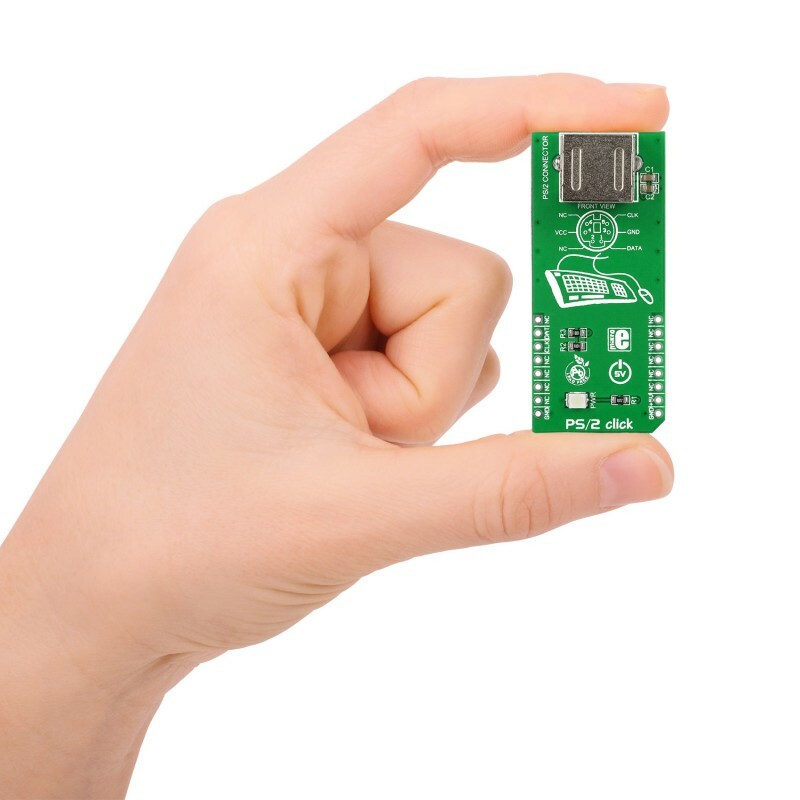 PS/2 click communicates with the target board through mikroBUS™ RST (data) and CS (clock) pins. 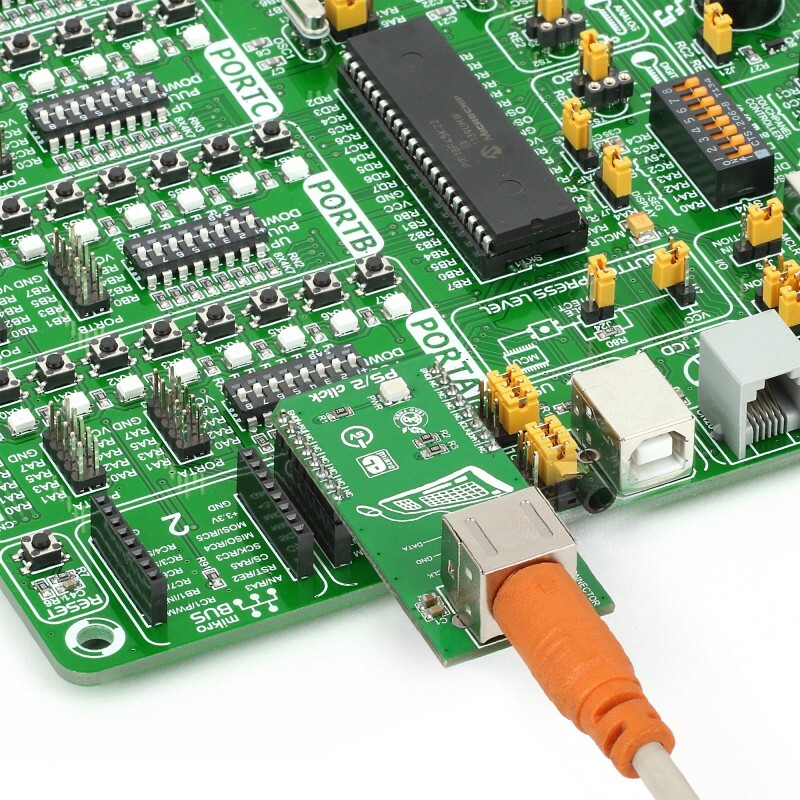 It's designed to use a 5V power supply only.